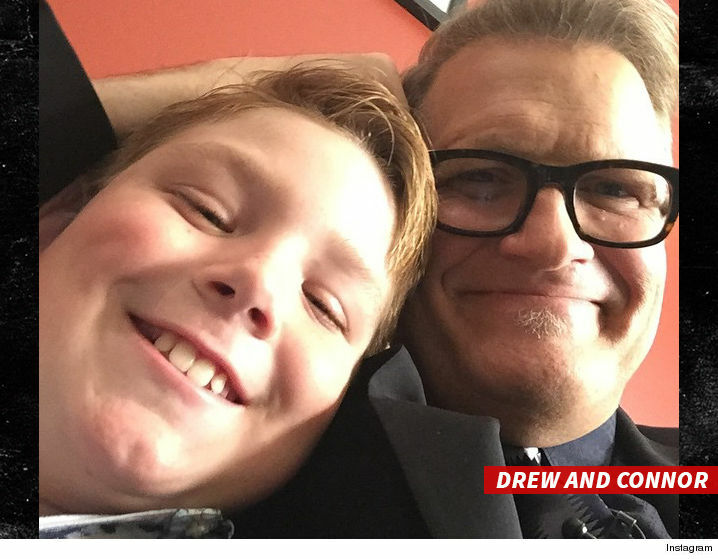 Drew Carey‘s son is the mystery kid from the Trump protest who claimed he started a bonfire and yelled, “Screw our president” … TMZ has learned. News footage of the boy went viral after the inauguration eve protest in Washington D.C. — and we’ve confirmed it was 11-year-old Connor behind one of the night’s most memorable moments. A source close to Drew tells us Connor got caught up in the emotions of the crowd around him, and he was in hot water afterward. We’re told Drew and Connor’s mom were upset about how he expressed himself to the reporter, and talked to him about his language. The source says Connor “regretted his choice of words” after the chat with his folks. Our own photog ran into Drew that night at the rally, and it was clear he had no idea Connor was in the heat of the action.